To reach the Power Plant, you'll need to Surf from Route 10, that is, the area before you tackle Rock Tunnel. Entering the Power Plant is not necessary to finish the game storyline, but it's important to fill the Pokédex. 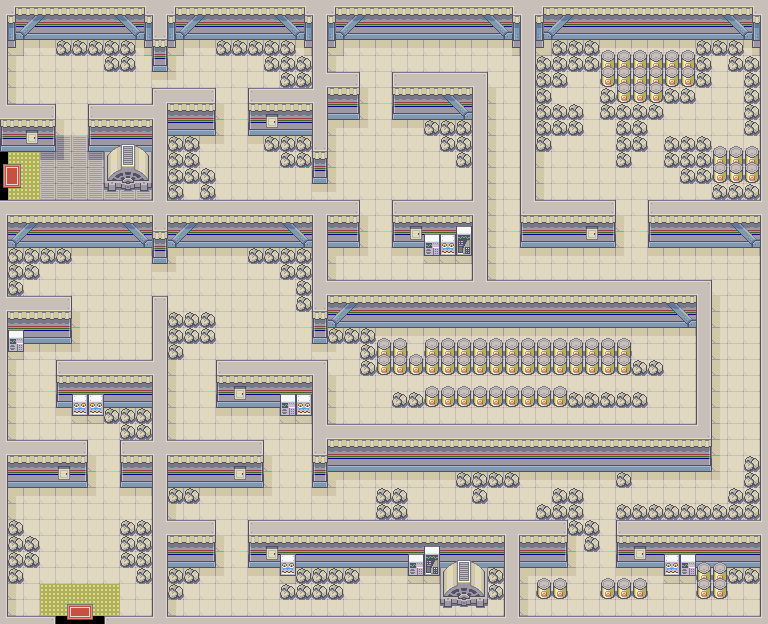 The Power Plant is a huge maze containing many kinds of rare items and electric-type Pokémon, including the winged mirage Zapdos. Just be careful. Some of the "rare items" are actually Electrodes waiting to attack. If you just want to catch Zapdos now, bring Max Repels, which only work on basic Pokemon and do not affect Legendary Pokemon. Bring at least 20 Ultra Balls from Fuchsia City, and some healing items; save the Master Ball for a much tougher foe ahead. As with any legendary, Save before battling Zapdos. If you KO it, it will not appear again. Once you are done, head for Route 19 for your next challenge! Magnemite, and its evolution, Magneton, are Steel/Electric Pokemon with a lot of power. Its Spc. Atk. and defense stats are excellent (a must for Electric Pokemon). Their ability to combo Zap Cannon or Thunder with Lock-On is also very tough to beat. Unfortunately, their HP is somewhat low, making Magnemite less of a Steel cannon and more of a Glass one. An Electric-type Pokémon that is exclusive to Pokémon FireRed. Electabuzz sports good attack and special stats, and a moveset that includes Swift and Thunder Punch. Unfortunately, as Electabuzz also has low HP and defense stats, and unable to evolve in this Generation, he is easily out-classed by other Pokemon. The Thunder bird, Zapdos, is arguably the strongest of the three Legendary Birds. You'll find Zapdos at Level 50 and will know Drill Peck, Thunder Wave, Detect, and Agility. Add some additional TM's like Thunderbolt or Thunder, and Zapdos will mow down most enemies easily. Zapdos can be a good choice for your team regardless of buildup. Most teams will consider a Flying type a must, and Electric types are few and far between. Zapdos will easily fill both spots, and also provide some needed muscle. Finally, even though Electric Pokemon are usually vulnerable to Ground and Grass types, its Flying type provides great cover for these weaknesses. TM25 Thunder: Very end of the room on the bottom right of the Power Plant. This page was last edited on 29 June 2017, at 02:15. This page has been accessed 422,317 times.